Sarasota Memorial and its network of nine neighborhood care centers offer a full spectrum of digital imaging and radiology services. From highly specialized technologists and Radiology Nurses to board-certified Radiologists, we offer the best screening, diagnostic and treatment options, scheduled within 24 hours with fast, accurate results. All of Sarasota Memorial’s radiology and imaging centers are fully accredited by the American College of Radiology. 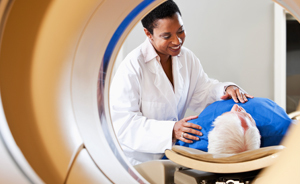 In conjunction with Radiology Associates of Florida, Sarasota Memorial provides imaging services at the health system’s main campus, neighborhood care centers and outpatient facilities. Radiology Associates of Florida is an independent practice that has served the Tampa Bay Area since 1970. They have provided services at Sarasota Memorial since 2013.